Our bathroom suites come in contemporary and traditional styles to suit all tastes, and any bathroom design requirement. Buying a complete bathroom package means you don’t have to buy each item separately, which saves both time and money. All our suites include a matching toilet and basin to ensure your bathroom looks coordinated, and all combine style with functionality. 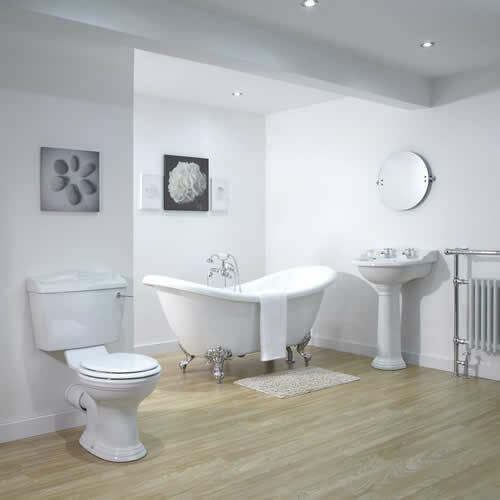 Each item in every bathroom suite has been made to the highest of quality and is backed by a comprehensive guarantee for added peace of mind. 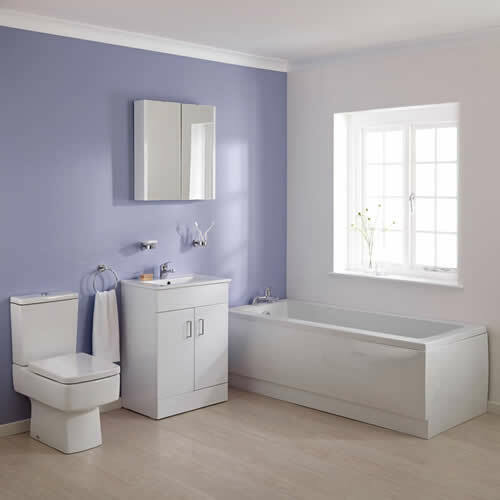 All our bathroom suites have been created with UK bathrooms in mind, and we have a great range to suit both small and large spaces. If you’re in need of some bathroom storage, we’ve got that covered too. We have a choice of bathroom suites with vanity units, so you can keep toiletries neatly hidden away from view yet easily accessible. There’s also suites with shower enclosures, which are ideal for an en-suite bathroom. 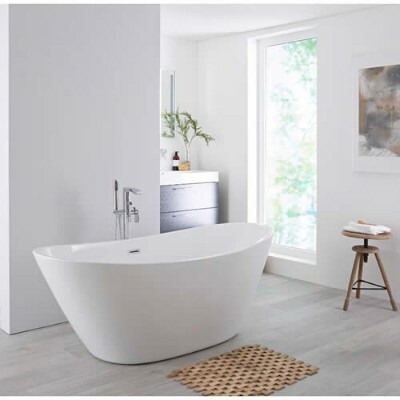 If you prefer to bathe, you can choose from bathroom suites with standard baths, corner baths, shower baths and freestanding baths. If you love the traditional look, then you’ll love our Victorian inspired bathroom suites. These include a beautifully designed freestanding bath, which forms the focal point of each traditional bathroom suite. Each bath features plenty of space to ensure a relaxing and comfortable bathing experience. Also included is a Victorian style basin and toilet, and some are supplied with matching basin and bath taps for those all-important finishing touches. 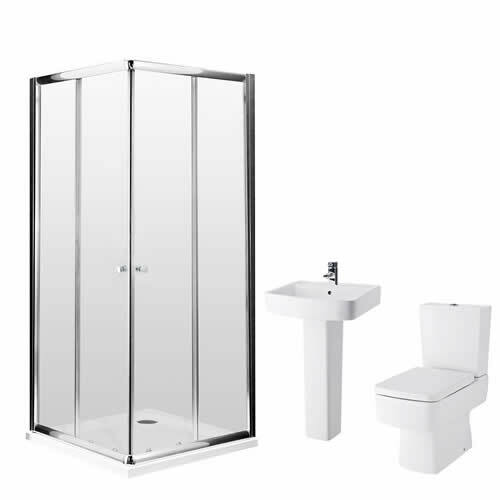 For those who prefer a modern look, our modern bathroom suites are perfect. These feature clean lines and minimalist styling, and are a great option for updating any bathroom, en-suite or cloakroom. 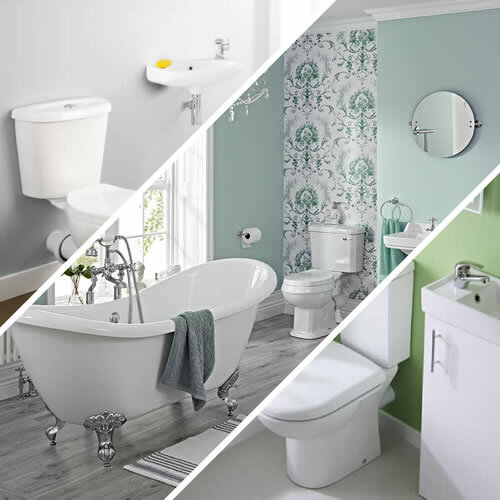 So, if you’re planning a new bathroom suite, you can be sure to find just what you’re looking for at BigBathroomShop.